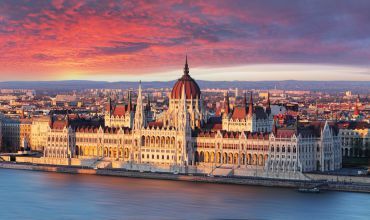 The building of the Hungarian Parliament is one of the most beautiful and the most important sights of Budapest. 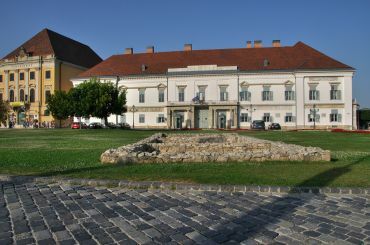 It is situated on the picturesque banks of the Danube, in the area of Lajos Kossuth. 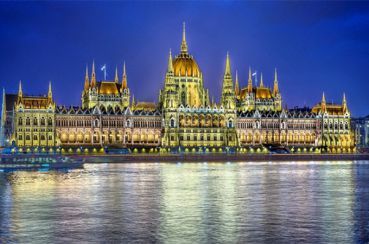 Construction of this building began in 1873 and was intended to bring together the two parts of the capital city of Buda and Pest. 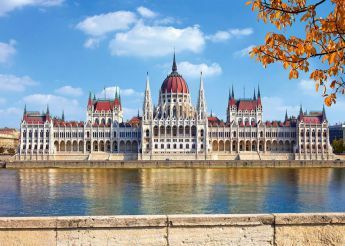 His quirky architecture resembles the Palace of Westminster. The building has a seven-fold elevation and a large central dome, 96 meters in height. 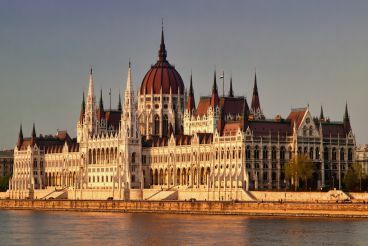 Parliament Building is the largest building in Hungary. On its premises housed the 691 room, 29 staircases and 9 cozy courtyards. The interior is characterized luxury, all the interiors are decorated in a medieval style, with multi-colored stained glass and mosaics. 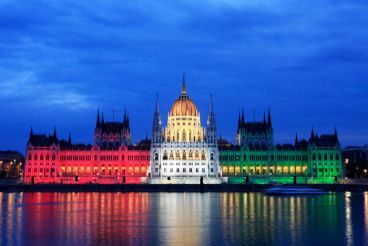 To get to the building of the Hungarian Parliament may at any public transport passing through the center of Budapest. 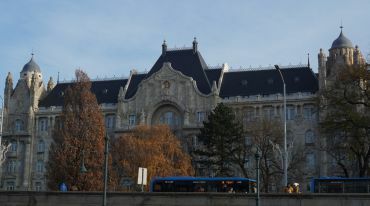 H–1055 Budapest, Kossuth tér 1-3.